I’ve been “training” since January. I say “training” with quotation marks because this time around training has been different. I’ve never known training like this and I’m a little conflicted about it. It’s safe to say that most athletes know that training for any long distance event is a delicate balance of training and recovery, in fact it’s fair to say that recovery is just as important as strength training and speed work. It’s a pretty big part of the whole process but it’s often over looked. We live in a world where we are constantly bombarded with graphics, articles and social networking posts about pushing ourselves farther, running faster, and lifting heavier, but we rarely see similar media about recovery. 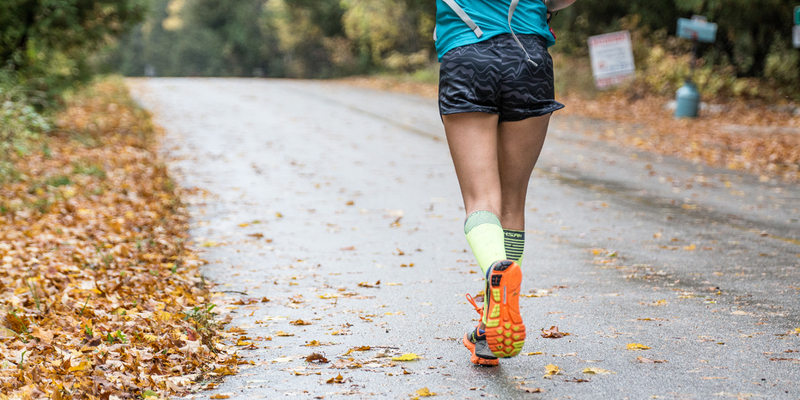 In addition, new social networking platforms such as mapmyrun and strava can make it difficult for an athlete to rest and recover. Athletes can be very competitive at times and when we are constantly in view of our friend’s activities we often get stuck in the trap of trying to keep up, compete, and differentiate ourselves from our friends. Within reason, this is great and can be helpful when we need to get out of that rut or find a little extra motivation to work out on a Monday, sometimes though, it can leave us feeling guilty and lead us to push beyond our limits and walk the fine line of training and injury. My training for the last 5 months has been what some may call “lazy”. In fact, it IS lazy compared to my previous years of ultra training. Gone are the days I would spend 3 or more hours working out on a week day, going to fitness classes and running. At this point in my life, I’m lucky to get away for a 4 hour run on a Saturday. I feel somewhat conflicted about this. My long runs usually feel great and to be fair I’ve gotten a good number of long runs under my belt. I’ve been able to maintain 3-4 hour runs on Saturdays or Sundays since February with the exception of a few off weekends sprinkled in there followed up with another 10-12 miles the following day. My mid week work outs have been lacking. I’m still figuring out this full time 9-5 schedule and it’s hard. Adulting is HARD. I usually enjoy a Monday rest day after my big weekends. Tuesday usually starts off with strength at 5:15am followed by a evening 5 miles. Wednesday I would attempt a morning and evening run. By Thursday everything would fall apart and I’d end up taking Thursday and Friday off to gear up for my long run. My weeks would consist of 3-4 running days a strength day and sometimes spin. This was at least the bare bones of what I would try to do. Depending on work, home, and Hailey this would not always happen, but that was the aim. Last Saturday the universe sent me another obstacle to over come. 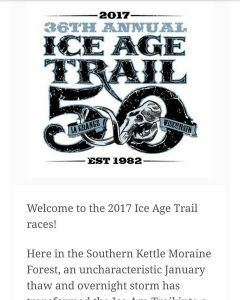 The last Saturday in April I headed out to the group training run that the Ice Age Trail 50 loosely organizes every year before the race. 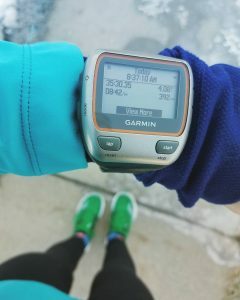 I was feeling confident in my training, even though I wasn’t running as much as I had previously, I felt good. I was right on schedule with my long runs and that day I had planned to run 22-25 miles followed by another 10-12 the next day. The universe had other plans and at mile 4.5 I landed on my ankle completely wrong, heard what I thought was a pop and my breath was taken away. I had to stop, place my hands on my knees and assess my situation. Did it hurt? What was that pop? How am I going to get to my car? How bad is it? All of these questions immediately flew through my head. I was running with Matt, who I had met the previous weekend. I told him to go ahead and that I had to go back, there was no way I could run 20+ miles on this. Doing so would not be smart. I took a few moments to assess my pain, could I put weight on it? Could I walk? I stumbled a bit off the trail as groups of runners behind Matt and I passed. At only 4 miles in, many runners asked what was up. I tried to look happy, smile, brush it off, but in my head I was angry. Why did this happen? Why am I hurt again, RIGHT before Ice Age. I knew this feeling all too well from previous years. When I ran in 2015 my training was again disrupted 2 weeks before the race due to hip pain. 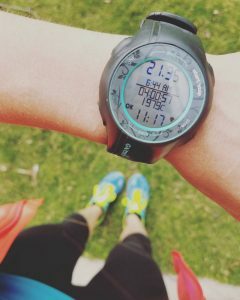 I still started and finished 2015 and definitely outside of my goal time. That year I was also was signed up for the Kettle 100, which I never started. Once again, I felt Kettle fall out of reach. Ice age was supposed to be another build up run before Kettle, HOW am I going to be ready for Kettle? I hiked back feeling defeated as I passed runners who were heading out. I hiked back a little bit and eventually I realized that putting weight on my ankle didn’t hurt, so I tried running. Running wasn’t painful either! Uneven ground or weird movements caused a little bit of pain, but it was nothing like my previous sprain in 2012. Eventually the miles back to my car didn’t seem so daunting. I was able to hike and run bits and pieces of the trail and I even thought about staying out for a few more miles but I knew better. I needed to start rehabbing whatever damaged I had done instead of putting more stress on the injury. I was able to run a bit more of the Nordic loop because it was less technical. With no real pain I was feeling optimistic but then I had to drive home (My car is a stick and my bum ankle was my left). 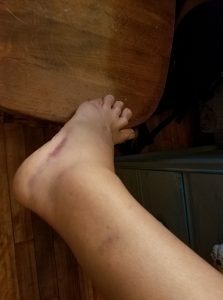 My ankle started slowly swelling before I even took my trail shoe off but luckily there was no major bruising right away. I could walk without limping, and since there was little pain and I still had hope. couch with peas and watching my ankle slowly develop a golf ball appendage that wasn’t supposed to be there. The rest of the weekend I spend moping around the house and icing my ankle. In the middle of the week my entire foot began to swell. After 7 days, I still didn’t have pain unless I moved it the way I rolled it. 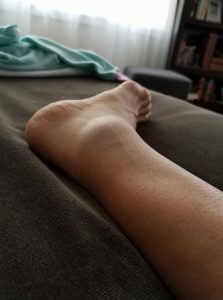 I could balance and put all my weight on that ankle, but it looked like hell. Not only did I bruise above my ankle and near my achilles, but I also bruised along the bottom edge of my foot. Finally, I tried an Epsom Salt soak before bed one night. I woke up and the swelling had significantly gone down. worried, but I need to have faith in my body and my training. I’m asking it to do some amazingly hard things next Saturday. I cannot forget that Ice Age is a stepping stone for Kettle. After Ice Age I only have 20 days until I attempt to run 100 miles again. Kettle is just another stepping stone for bigger things and to get there I have to start somewhere.